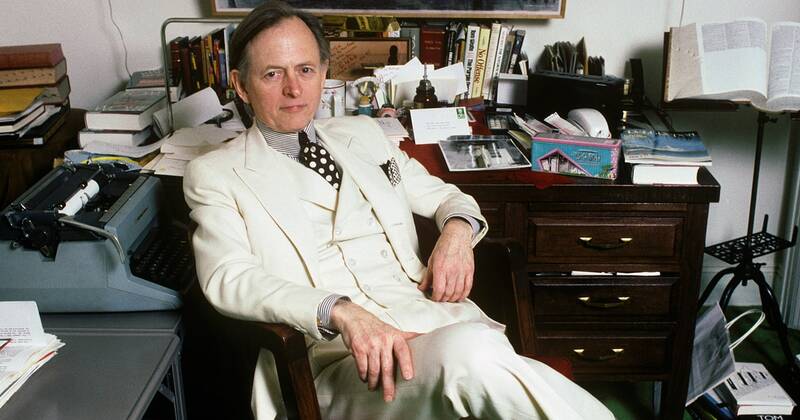 Writer Tom Wolfe died Monday in a New York City hospital at 88 years old. Wolfe was a journalist and novelist renowned for his nonfiction writing and sartorial flair. Originally from Richmond, Virginia, Wolfe moved to New York in 1962 when he began work as a reporter for the New York Herald Tribune. Wolfe’s most notable works include 1968’s The Electric Kool-Aid Acid Test, about Ken Kesey; his 1979 nonfiction epic about the space program, The Right Stuff, which was adapted into the Oscar-winning 1983 film of the same name; and his 1987 novel The Bonfire of the Vanities, which was adapted into a Brian De Palma film. Wolfe was a major influence on the New Journalism movement of the 1960s and ’70s, which appropriated novelistic literary techniques into nonfiction writing.